Whether you are interested in holding a meeting or an overnight retreat; hosting a family reunion or wedding reception; or challenging your staff with adventure or team building activities, Krislund has the space you need. Most of our meeting facilities are handicap accessible – please ask for details. Meeting spaces are available for groups as small as 2 or as large as 200. We offer many options for your presentations, breakout sessions and hospitality needs. Flexible spaces allow you to set up rooms in the layout you want — theater style, classroom style, round tables or open floor space — we can do it all! The “RC” is our premier meeting and dining facility. The lodge is separated into three main areas: the Great Room, the Blue Room – our carpeted meeting room and the Dining Room. Inside the main entrance is an open foyer with stone fireplace and the Krislund Kafe’, our latte and coffee bar. This space is perfect for registration tables, displays or other meeting needs. All rooms are open to each other making this facility great for large group activities, games or entertainment. Handicap-accessible. 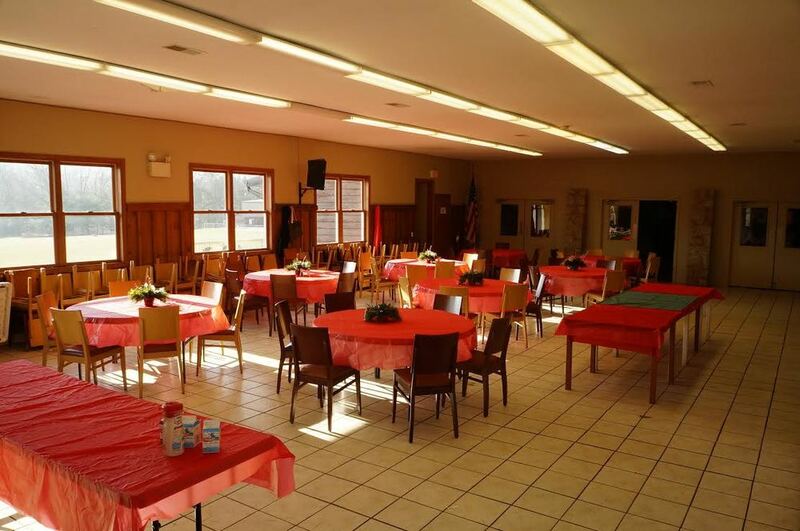 Fellowship Lodge has a large open hall that can hold up to 60 people for meetings. A full kitchen, large stone fireplace and a spacious deck with a great view add special ambiance to this space. For breakout sessions or small groups, Fellowship Lodge has four attached bunk rooms, each equipped with a conference table and 8 chairs. Each bunk room features adult-friendly, double-sized bunks to sleep 8 people, two sleeper sofas and a private bathroom. Meeting capacity 60; sleeping capacity 40. Handicap-accessible. Completed in 2013, this lodge has a large common area with fireplace, flat screen television with AV inputs, air conditioning and large sliding door that leads to a deck overlooking the woods and Roaring Run. The common area is open to the dining/kitchen area and a restroom. Resurrection Lodge also has three bunk rooms — two of them sleep 8 and one sleeps 14. 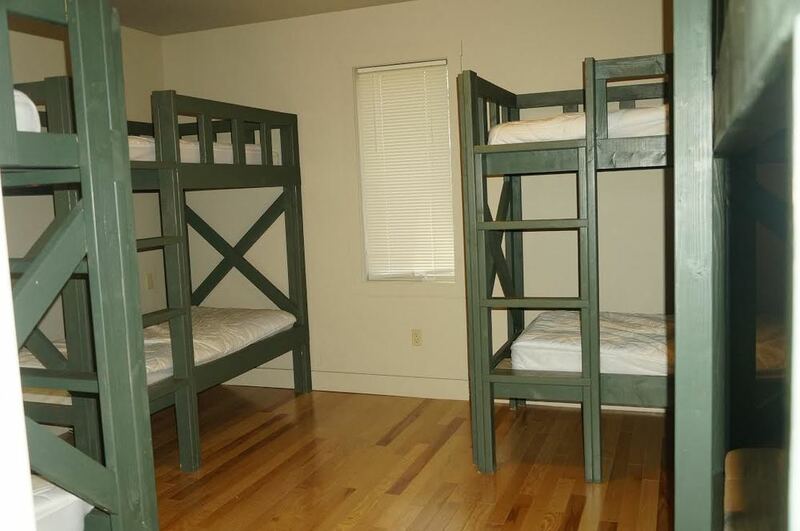 Each of the two 8-bed bunk rooms have a private bathroom and a shower. The 14-bed bunk room has two private bathrooms, each with its own shower. Meeting capacity 50; sleeping capacity 30. Handicap-accessible. This two-story farmhouse, part of the original Krislund property, is perfect for a small group. The Brown House has three bedrooms, two bathrooms and a full kitchen. There are two living rooms open to one another. There is a fantastic wood burning stove to make any winter retreat feel cozy and warm. Meeting capacity 20; Sleeping capacity 12.